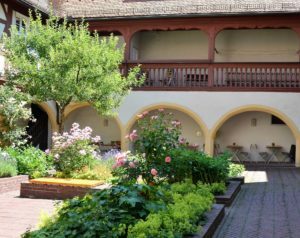 ANSBACH, Germany (Sept. 21, 2018) – “Was ist los in Franken?” details off-post community events and activities occurring throughout the Franconian region. The Ansbach tourist office is offering a guided tour in English. 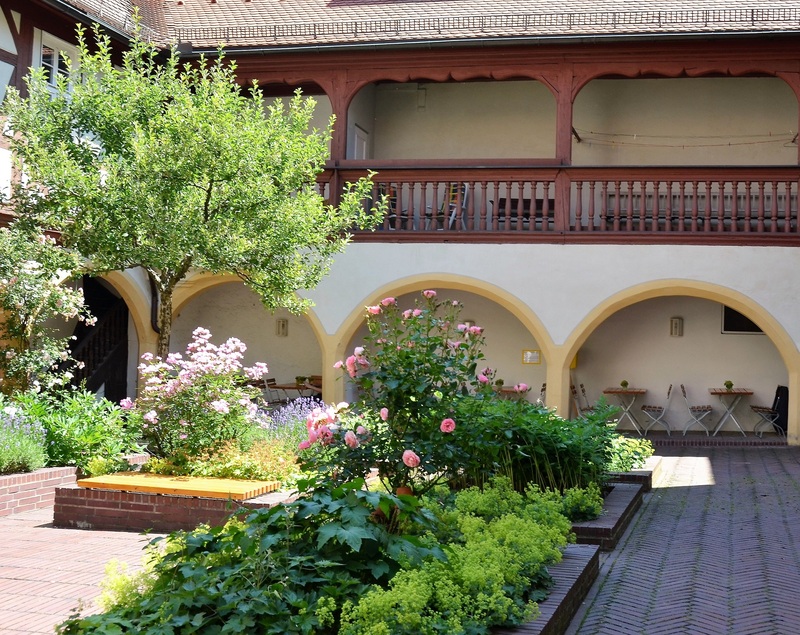 The very knowledgeable tour guide will take participants around town and talk about more than 1250 years of history, including Baroque style facades and hidden Renaissance inner court yards, the former Markgrave´s Royal Chapel, a crypt with its 25 sarcophaguses and the Baroque Synagogue. The tour starts at the horse sculpture Anscavallo at Schlossplatz (across from the Residenz castle) Sept. 22 at 5 p.m. The 90-minute tour costs 6 euros per person and takes about 90 minutes. 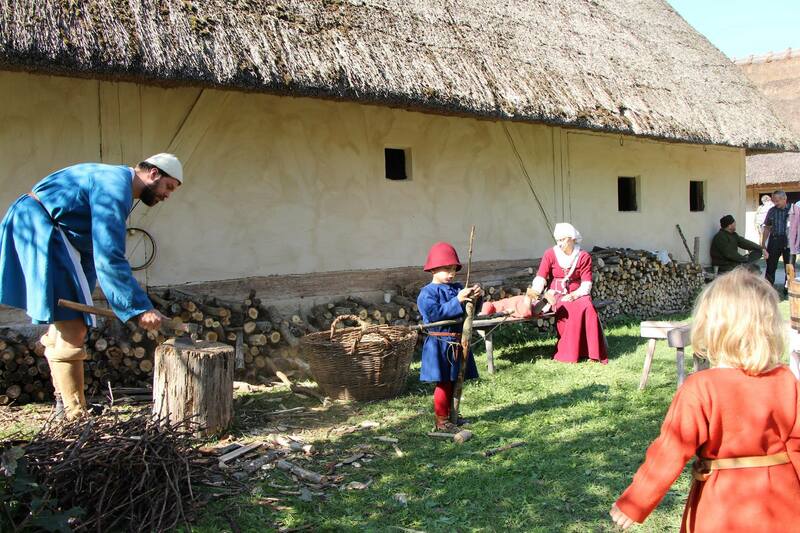 To learn more, contact the Ansbach Tourist Office at 0981-51-326 or akut@ansbach.de. Lichtenau is hosting a fall flea market on the Festplatz (Windsbacher Strasse) Sunday, Sept. 23, from 10:30 a.m. to 5 p.m. The traditional Altstadtfest downtown Nürnberg, open until Sept. 24, is one of the most popular highlights in the Franconian event calendar. The Hans-Sachs-Platz and Insel Schütt turn into fest grounds with wooden huts that offer local culinary specialties; the entertainment program includes cultural and traditional events, like the Fischerstechen, an event that includes boats on the river and people with long poles pushing each other off these boats. Program details and other information can be found at www.altstadtfest-nue.de. Beyond the Franconian borders …. The Oktoberfest in Munich – the original Oktoberfest – is one of the most famous events in Germany and is the world’s largest fair with more than 6 million people from around the world attending every year. It started out as a royal wedding celebration in October 1810, when Crown Prince Ludwig (later King Ludwig I) married Princess Therese of Saxe-Hildburghausen; the fields, where the celebration took place, were named Theresienwiese (“Therese’s Meadow”) in honor of the crown princess. The Oktoberfest, also known as the “Wies’n,” takes place on Munich’s Theresienwiese on Sept. 22 to Oct. 7. The midway is open daily from 10 a.m. to 11:30 p.m. (30 minutes longer on the weekends); the beer tents have the same opening hours, but the last beer will be served an hour before closure. Official family days with reduced prices are Tuesdays from noon to 6 p.m. Since there is no parking anywhere close to the location, visitors are encouraged to come to town by train or take advantage of the park & ride system and leave their vehicle at a public transportation stop outside of the city, using the subway (U-Bahn) to get there. Security concept: The security concept of the Oktoberfest is based on decades of experience and constantly reviewed. There will be a security fence along open stretches as well as a ban of back packs and larger bags; smaller bags are subject to search. Strollers are only allowed on weekdays until 6 p.m.; completely forbidden are items like glass bottles, gas spray cans or knives. On the busier days, like the weekends, visitors are advised to refrain from bringing small children. ‘Volksmarches’ or ‘Internationale Wandertage’ are a form of non-competitive physical fitness training, which takes the participants through some of the most beautiful landscapes in Germany. The walking distance varies from 5 to 10 or 20 kilometer routes on scenic trails through forests, along rivers and lakes or around historic sites. There is no set start time, but a window of time for hikers to start the route, and finish it at their own pace. Trails are typically marked well along the way. Many trails are stroller-friendly and provide great opportunity to explore the countryside. After the walk the local hiking clubs usually offer food and drink in a hall or tent, sometimes even at a half-way point. Avid hikers can get a hiking passport stamped each place they participate, and many clubs reward their visitors with a small token. To find announcements on hiking days all over Germany, visit DVV Wandern. The information on local host nation events is provided through the auspices of the USAG Ansbach Public Affairs Office (PAO). All details provided are for informational purposes only and are a representation of typical events conducted in the local community. The PAO grants no element of exclusivity to any outside agency or business and any reference to commercial or retail activities implies no endorsement or recommendation by the U. S. Army or its agencies. Participation in any event or activity described herein is strictly voluntary and should be done so only after careful advisement and consideration of the safety and security environment at each specific location.